Microsoft offered free upgrade to Windows 10 to all the users that use Windows 7 and Windows 8. The Windows customers are quite excited about it and they are eager to know which devices and versions of the OS would be getting the free upgrade. Microsoft announced some of the details about their plan. This customer version of the operating system will work with desktops, laptops and 2 in 1 platforms. Windows 10 Home will offer innovative sign-in and facial recognition facilities, Microsoft’s new Edge browser, many Windows applications, Cortana and even some Xbox games. Windows 10 Home customers will also have the right to use “capturing and sharing” gameplay. Xbox One users will have access to stream games from their consoles to any Windows 10 PC on their network. Windows 10 is bound to see numerous improvements from what we’ve seen so far too, earlier this year Microsoft acquired Sunrise Atelier a leading calendar developer so we are bound to see some new apps and features focused around productivity in later updates. Windows 10 Mobile is for tablets and smartphones only. It is almost like Windows RT but it does not offer the desktop interface. Windows 10 Mobile will offer touch version of Office and “Universal” applications as Windows 10 Home. Some of the tablets and smartphone will also get support for Microsoft Continuum for phones. Continuum is the flexible UI which helps the phone’s UI to change to a UI which is more suited to that hardware. If a phone is attached to a keyboard or a mouse, the Continuum will change to a UI that is better suited to mouse or a keyboard. So if the phone is attached to a monitor, the phone’s UI will change the phone’s font and icon to fit the larger display. Microsoft did not announce the features provided by Windows 10 Pro yet other than the Windows Update for the business. In the previous professional version of Windows, Microsoft offered larger RAM, Remote Desktop sessions, Bitlocker support and technologies like Hyper-V. Only time will tell that which features will Windows 10 Pro offer. These were some of the versions of Windows 10. Some other versions include Windows 10 Enterprise, Windows 10 Education and Windows 10 Mobile Enterprise.In simple words, if you own Windows 7 or Windows 8 Home, you will get Windows 10 Home and if you own Windows 7 or Windows 8 Pro, you will get Windows 10 Pro. Microsoft did not announce much about the Windows 10 Mobile but most likely some smartphones and tablets will have the option to upgrade to Windows 10 Mobile. 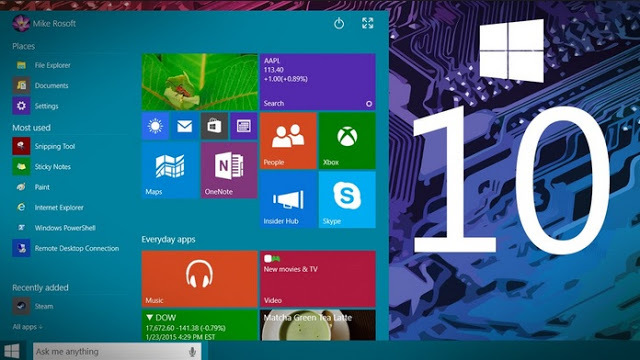 We will know for sure when Microsoft will release Windows 10 in summer. The exact date and pricing is not yet confirmed.